“But when the fullness of the time had come, God sent forth His Son” (Galatians 4:4) to save the human race. And when nine months were fulfilled from the Annunciation, when the Archangel Gabriel had appeared to the Most-holy Virgin in Nazareth, saying, “Rejoice, thou that art highly favored … behold, thou shalt conceive in thy womb, and bring forth a Son” (Luke 1:28, 31), at that time there went forth a decree from Caesar Augustus that all the people of the Roman Empire should be taxed. In accordance with this decree, everyone had to go to his own town and be registered. That is why the righteous Joseph came with the Most-holy Virgin to Bethlehem, the city of David, for they were both of the royal lineage of David. Since many people descended on this small town for the census, Joseph and Mary were unable to find lodging in any house, and they sought shelter in a cave which shepherds used as a sheepfold. In this cave-on the night between Saturday and Sunday, on the 25th of December-the Most-holy Virgin gave birth to the Savior of the world, the Lord Jesus Christ. Giving birth to Him without pain just as He was conceived without sin by the Holy Spirit and not by man, she herself wrapped Him in swaddling clothes, worshiped Him as God, and laid Him in a manger. Then the righteous Joseph drew near and worshiped Him as the Divine Fruit of the Virgin’s womb. Then the shepherds came in from the fields, directed by an angel of God, and worshiped Him as the Messiah and Savior. The shepherds heard a multitude of God’s angels singing: “Glory to God in the highest, and on earth peace, good will toward men” (Luke 2:14). 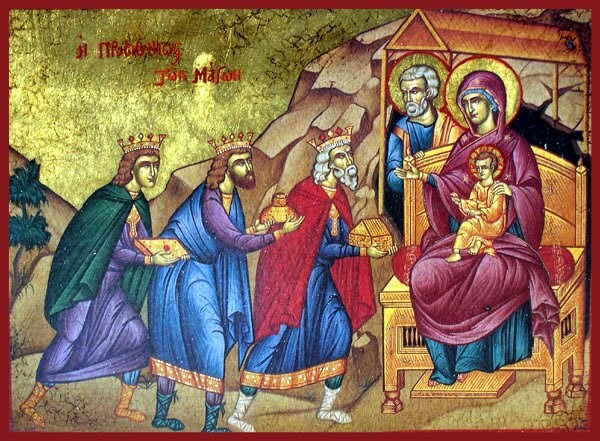 “At that time three wise men arrived from the east, led by a wondrous star, bearing their gifts: gold, frankincense and myrrh. They worshiped Him as the King of kings, and offered Him their gifts” (Matthew 2). Thus entered the world He Whose coming was foretold by the prophets, and Who was born in the same manner in which it had been prophesied: of a Most-holy Virgin, in the town of Bethlehem, of the lineage of David according to the flesh, at the time when there was no king in Jerusalem of the lineage of Judah, but rather when Herod, a foreigner, was reigning. After many types and prefigurings, messengers and heralds, prophets and righteous men, wise men and kings, finally He appeared, the Lord of the world and King of kings, to perform the work of the salvation of mankind, which could not be performed by His servants. To Him be eternal glory and praise! Amen. From eternal light, Thou didst descend into the thick darkness of evil. Thou didst extend Thy holy hand to those choked in sin. Heaven was amazed, the earth quaked. Welcome, O Christ! O ye peoples, rejoice! To enlighten the darkened, to unloose sinners. Welcome, O Christ! The Master of Salvation! To despairing men, with a torch and peace. How to contain Thee?-The earth became frightened. Welcome, O Christ! Heaven bears Thee up! The most beautiful Virgin for a long time hoped in Thee. To bring health, to release man from sin. To thee be glory and praise, O Mother full of grace! The Lord Jesus, born in Bethlehem, was first worshiped by shepherds and wise men (astrologers) from the east – the simplest and the wisest of this world. Even today, those who most sincerely worship the Lord Jesus as God and Savior are the simplest and the wisest of this world. Perverted simplicity and half-learned wisdom were always the enemies of Christ’s divinity and His Gospel. But who were these wise men from the east? 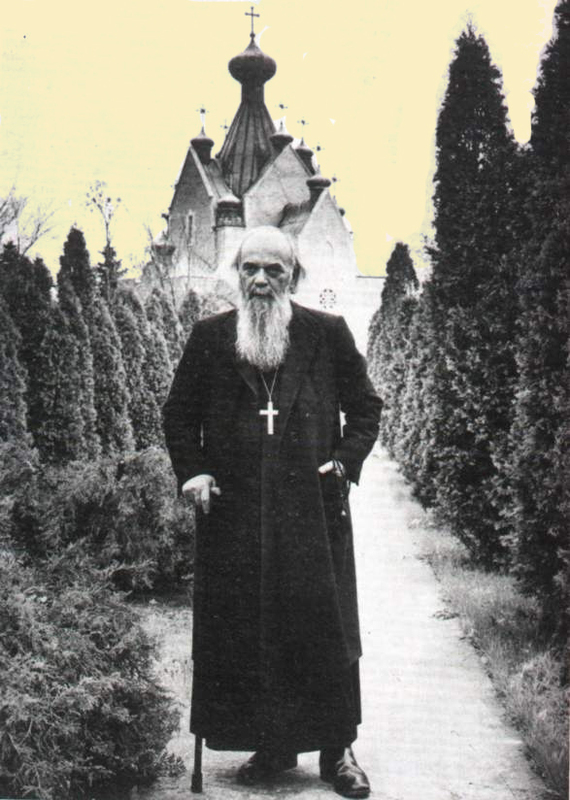 This question was especially studied by St. Dimitri of Rostov. He claims that they were kings of certain smaller regions or individual towns in Persia, Arabia and Egypt. At the same time, they were erudite in the knowledge of astronomy. This wondrous star appeared to them, which announced the birth of the New King. According to St. Dimitri, this star appeared to them nine months before the birth of the Lord Jesus, i.e., at the time of His conception by the Most-holy Theotokos. They spent nine months in studying this star, in preparing for the journey and in traveling. They arrived in Bethlehem shortly after the birth of the Savior of the world. One of them was called Melchior. He was old, with long white hair and beard. He offered the Lord the gift of gold. The second was called Caspar, of ruddy face, young and beardless. He offered the Lord the gift of frankincense. The third was called Balthasar, of dark complexion and a very heavy beard. He offered the Lord the gift of myrrh. After their deaths, their bodies were taken to Constantinople, from Constantinople to Milan, and from Milan to Cologne. It can be added that these three wise men were representatives of the three main races of men that descended from Noah’s three sons: Shem, Ham and Japheth. The Persian represented the Japhethites, the Arabian represented the Semites, and the Egyptian represented the Hamites. Thus it can be said that, through these three, the whole human race worshiped the Incarnate Lord and God. 3. How her soul was filled with the sweet-smelling fragrance of prayer. “I came forth from the Father, and am come into the world” (John 16:28). The only-begotten Son of God, brethren, begotten in eternity of the Father without a mother, was born in time of a mother without a father. That first begetting is an unfathomable mystery of the Holy Trinity in eternity, and the second is the unfathomable mystery of God’s power and love for mankind in time. The greatest mystery in time corresponds to the greatest mystery in eternity. Without entering into this greatest mystery with the small taper of our understanding, let us be content, brethren, with the knowledge that our salvation had its origin not from man or from earth, but from the greatest heights of the divine invisible world. So great is God’s mercy, and so great is the dignity of man, that the Son of God Himself came down from eternity into time, from heaven to earth, from the throne of glory to the shepherd’s cave, solely to save mankind, to cleanse men from sin and to return them to Paradise. I came forth from the Father, where I had everything, and am come into the world, which cannot give Me anything. The Lord was born in a cave to show that the whole world is one dark cave, which He alone can illumine. The Lord was born in Bethlehem – and Bethlehem means “the House of Bread” – to show that He is the only Bread of Life worthy of true men. O Lord Jesus, the Pre-eternal Son of the Living God and the Son of the Virgin Mary, enlighten us and nourish us with Thyself. Pingback: What A Gift? Anything Better? | LSW Ministries "No One Left Behind"